The Tone City Mandragora is derived from the tones found in the awesome Kalamazoo pedal by Lovepedal custom effects. One of the great things about this pedal is thanks to the "Pre" control on the front which adds extra "glass" to the top end it will work perfectly on any type of electric guitar whether it be a Single Coil or Humbucker based guitar. Another strength of the Mandragora is the gain stage can go anywhere from just off-clean through to thick and juicy rock and roll tones while also covering the blues territory to a tea! 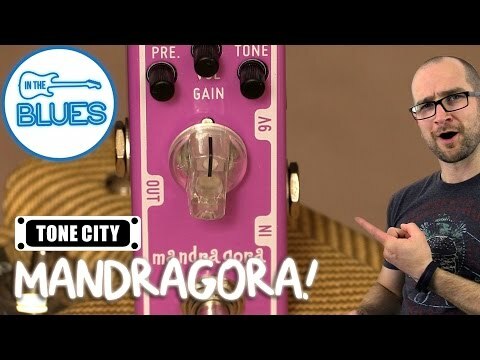 The Mandragora features one of the nicest gain stages of all the Tone City pedals and it will work from straight into a clean amp through to pushing and already dirty amplifier. The one word that comes to mind when I think of this pedal is "sustain". Get ready for some singing lead tones with this pedal. 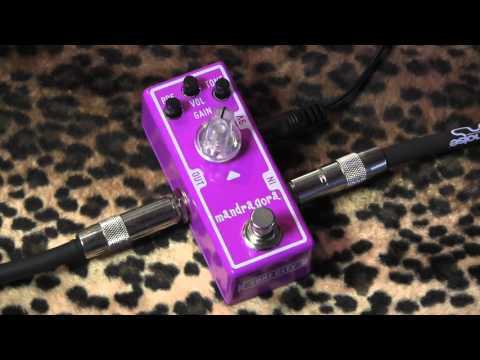 All Tone City pedals are True Bypass and require a regular 9v Power Supply for operation as they do not have a battery compartment.